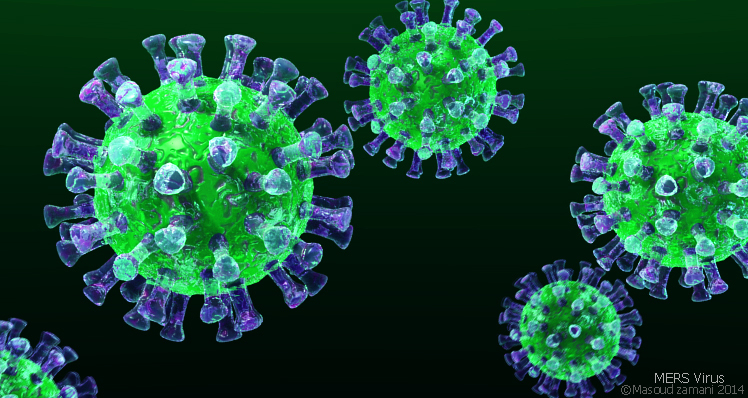 The current Middle East Respiratory Syndrome coronavirus (MERS-CoV) vaccine candidate created two years ago by the Institute for Infectious Diseases and Zoonoses at Ludwig-Maximilians-Universitaet Muenchen will soon be tested in Phase I clinical trials. As of today, there are no vaccines available to protect people from contracting MERS-CoV, but a MERS-CoV vaccine is in high demand. This necessity is highlighted by the outbreak occurring in South Korea, during which 150 people have contract MERS-CoV infections and several people have died. The Modified Vaccinia virus Ankara (MVA) is the carrier for the immunogenic antigen taken from MERS-CoV. The team of researchers used molecular biological techniques to change the MVA genome’s structure. This allowed the scientists to add genetic information coding, creating proteins that are similar to other viral pathogens. Now, the foreign proteins are synthesized and reflected on the surface of the infected cells, allowing the immune system to recognize the invading cells and create T-cells and antibodies to fight them and protect the body from infection. The results of these clinical trials will determine whether the vaccine is safe and effective for humans to use. The vaccine, called MVA-MERS-S, was created in collaboration with the Erasmus Medical Center in Rotterdam, Holland and Marburg University.